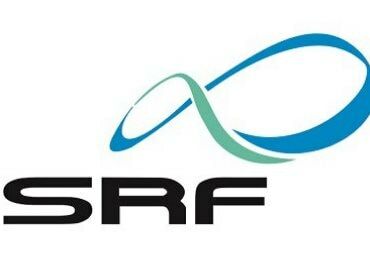 SRF shares were trading 3 per cent higher at Rs 2,450 in intra-day trade on the BSE on Thursday in an otherwise subdued market after the company resumed operations at its Dahej industrial plant in Gujarat. “A revocation order dated April 3, 2019 has been issued by Gujarat Pollution Control Board (GPCB) and in compliance with the said order, the site should resume operations at the earliest,” SRF said in BSE filing on Thursday. On Monday, April 1, the stock had tanked 8 per cent in intra-day trade, after the GPCB's March 29 order asked the company to shut down its Dahej plant citing the violation of industrial waste disposal norms. The plant, which is part of its chemicals segment, makes specialty chemicals and refrigerant gases. Currently, SRF is trading close to its all-time high level of Rs 2,476, touched on March 25, 2019, on the BSE in intra-day trade. In the past two-month, the stock has rallied 25 per cent, as compared to 6 per cent rise in the S&P BSE Sensex. For the October-December quarter (Q3FY19) quarter, SRF had posted a healthy growth of 26 per cent year-on-year (YoY) in consolidated net profit at Rs 166 crore on the back of higher revenue. The operational revenue grew 41 per cent at Rs 1,964 crore from Rs 1,397 crore in the corresponding quarter of the previous year. While announcing Q3FY19 results, the management said specialty chemicals business, which accounts for 30 per cent to total revenue, is now showing signs of a revival which will be visible from the next quarter onwards.